What happens inside a cell when it is activated, changing, or responding to variations in its environment? 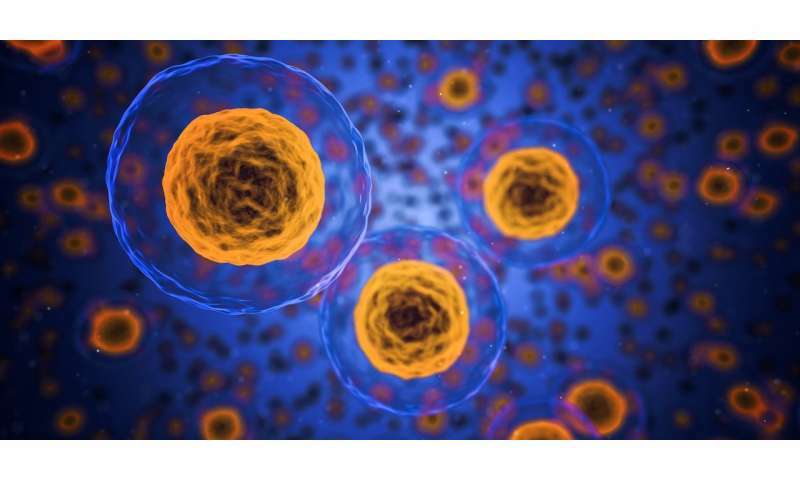 Researchers from the VIB-UGent Center for Inflammation Research have developed a method to best model these cellular dynamics. Their work not only highlights the outstanding challenges of tracking cells throughout their growth and lifetime, but also pioneers new ways of evaluating computational biology methods that aim to do this. Yvan Saeys (VIB-Ghent University), heading the research group, says, "If you would take a random sample of thousands of cells that are changing, you would see that some are very similar, while others are really different. Trajectory inference methods are a novel class of Artificial Intelligence techniques that unveil complex structures such as cell trajectories in a data-driven way. In recent years there has been a proliferation of tools that construct such a trajectory. But the availability of a wide variety of such tools makes it very difficult for researchers to find the right one that will work in the biological system they are studying." Two researchers in the Saeys lab, Robrecht Cannoodt and Wouter Saelens, set out to bring more clarity to the field by evaluating and comparing the available tools. Robrecht Cannoodt says: "From the start, we envisioned to make the benchmark as comprehensive as possible by including almost all methods, a varied set of datasets and metrics. We included the nitty-gritty details, such as the installation procedure, and put everything together in one large figure—a funky heatmap as we like to call it." The results are reported in Nature Biotechnology.